Shana has been a patient of ours since January 2016 and has seen Dr Caroline many times for regular check ups. After a consultation, Shana expressed her concerns, and made the decision to get Veneers and Zoom in- chair teeth whitening. Shana’s treatment was completed in 4 weeks with 4 visits. 1st Visit: Consultation with Dr Caroline. Photo taking and a mock up is made so patient can see how the treatment will look when finished. 2nd Visit: Zoom in chair whitening treatment. 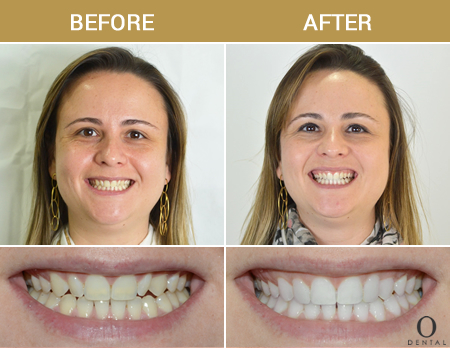 3rd Visit: Teeth preparation of porcelain veneers and impressions were taken.